Spatial reinforcement including Source-Oriented Reinforcement for realtime automated vocal localisation using a TiMax dynamic delay-matrix. Includes a TiMax2 SoundHub S-64 spatial audio processor with 64×64 AES I/O plus a build-in TiMax Dante64 interface which enables access to the venue’s new permanent Dante network infrastructure. Actors’ radio mic signals are fed individually to the TiMax SoundHub from channel or group direct outs on the SD7T. All PA system delays are applied and dynamically managed by TiMax on a source-oriented basis, applying Haas effect delay-matrix over-delays to achieve localisation. 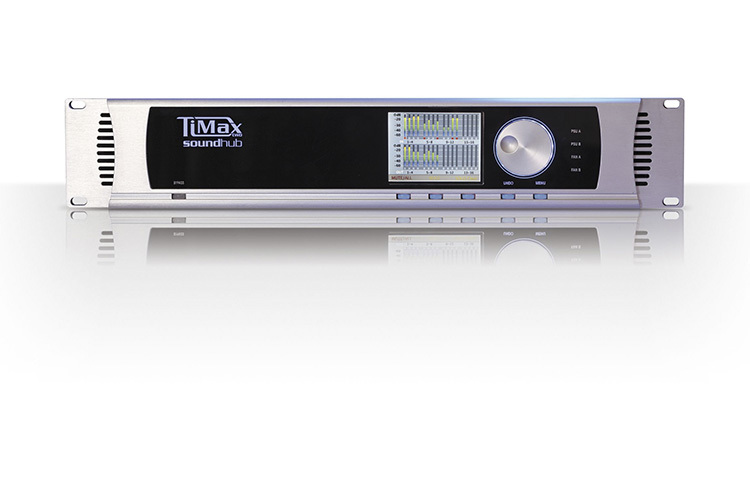 The TiMax SoundHub unit receives MIDI Controller messages from the TiMax Tracker performer stage tracking system, whose UWB radar TT Tags worn by the actors are continually scanned by five TT Sensors located around the stage and auditorium. The multi-viewpoint topology of TiMax Tracker ensures robust redundancy against body and scenery blocking, as only two sensors at a time need to see a tag for tracking to be resolved. Proprietary TiMax delay-morphing algorithms vary precedence delays independently between each mic and the distributed d&b PA system to ensure accurate localisation continuously across the entire audience area. 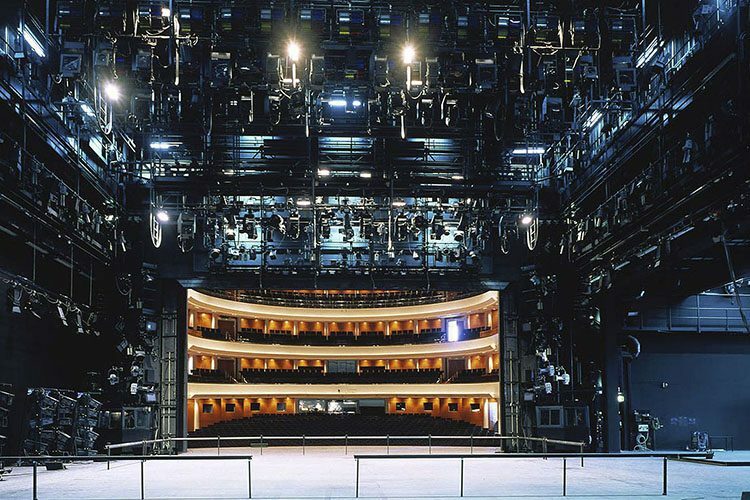 This immerses the audience more fully in a performance as the vocal reinforcement becomes transparent and “stress-free” as it always coincides with the actors visual positions onstage, achieving a level of authenticity and impact to match the high production standards which the FNO directors demand. The TiMax Tracker automation also renders the whole process operator-free, leaving the sound engineer to just concentrate on the mix. 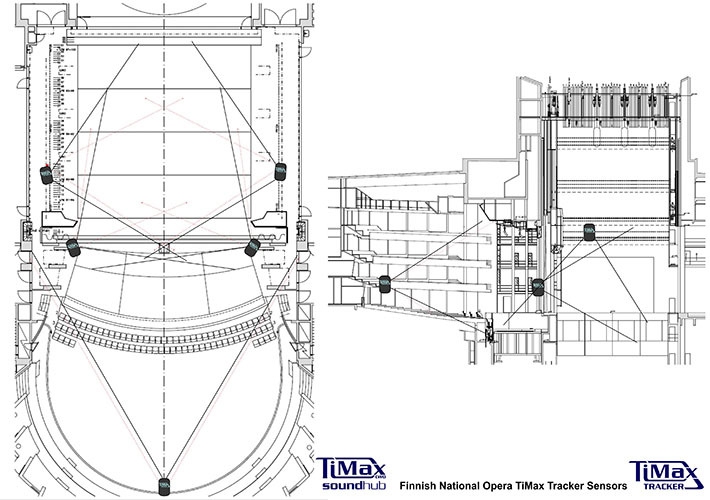 High proscenium imposed loudspeaker speaker siting constraints which needed to be overcome in TiMax SoundHub Image Definition objects to achieve consistent localisations across deep stage thrust as well as main stage area. Versatile combination of automated plus manually adaptive image object programming ability in TiMax was central to achieving this. 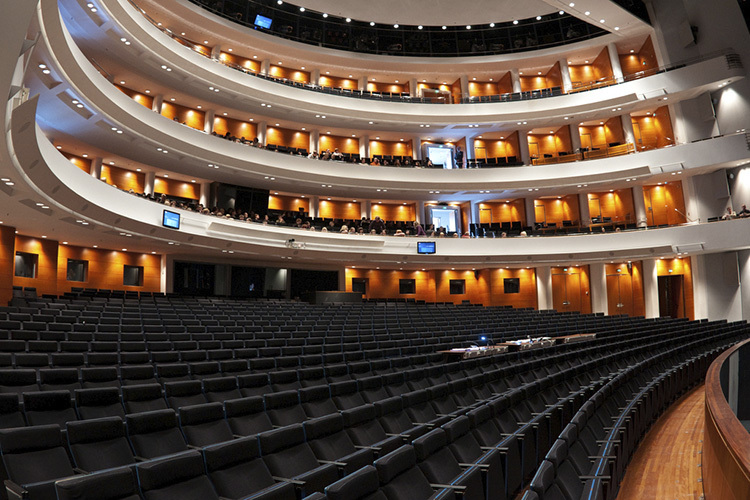 Use of first-wavefront reinforcement time-zero speakers, strategically located downstage and with mic signals level-panned automatically by TiMax Tracker, helped to provide strong variable coincident reference anchors for each actor as they moved around the stage, to support the main delay system delay precedence localisation. 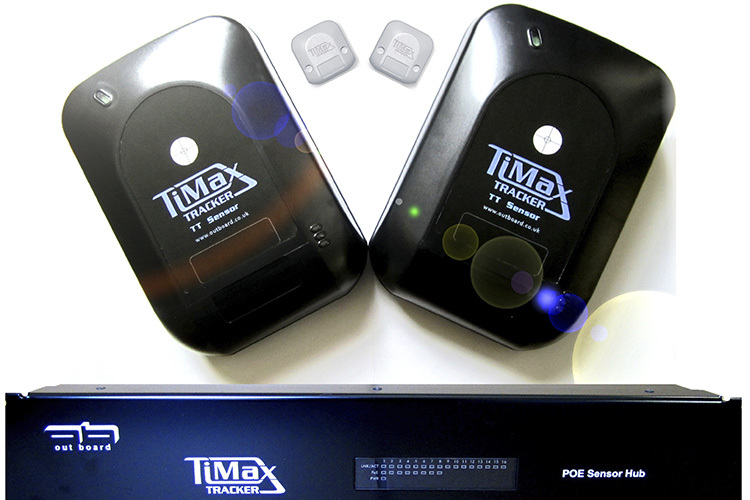 Good location of TiMax Tracker Sensor positions to achieve optimum three-dimensional coverage and redundancy from five locations was necessary. 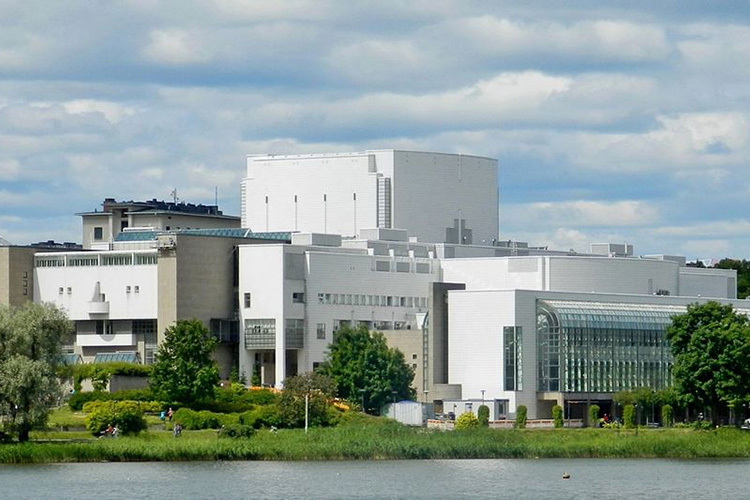 Readily achieved without compromising architectural integrity, partly due to the distributed, multi-viewpoint nature of the TiMax Tracker system which also provided inherent redundancy as only two sensors need to see an actors Tag for them to be tracked.